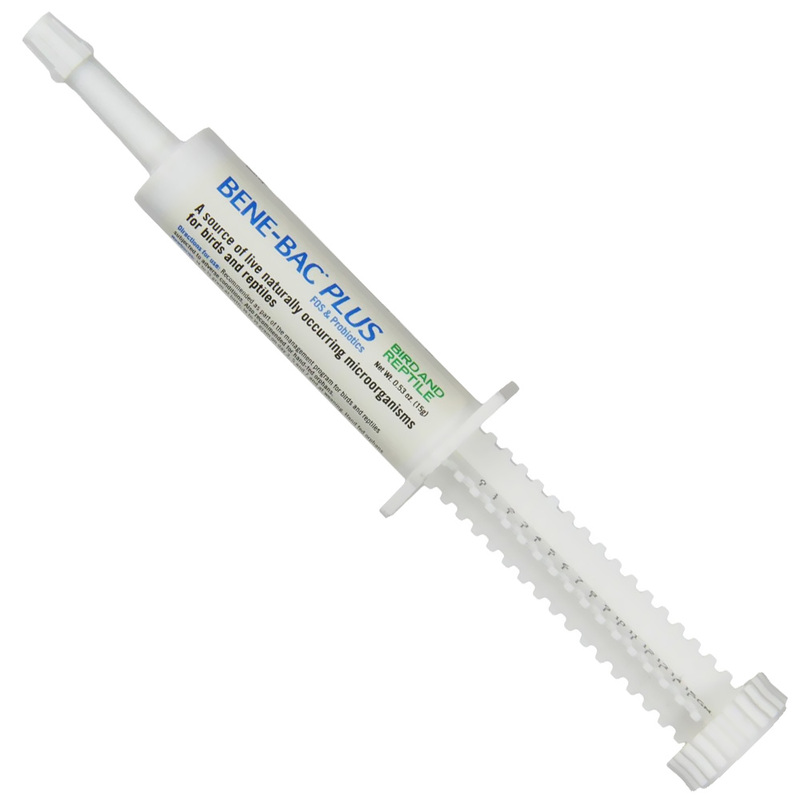 Bene-Bac Plus Gel for Bird & Reptile is recommended as part of the management program for birds and reptiles subjected to changing environmental or nutritional conditions or after antibiotic therapy. It contains a concentrated live culture of seven fat encapsulated microorganisms found in the intestinal tracts of birds and reptiles. The gel is a concetrated energy source that can be helpful to birds and reptiles under adverse conditions such as: showing, breeding, travel, worming, boarding, and others. This palatable gel is easily administered with the syringe. Dried Lactobacillus casei (avian strain) fermentation product, Dried L. fermentum fermentation product, Dried L. acidophilus fermentation product, Dried L. plantarum fermentation product, Dried Enterococcus faecium fermentation product, Dried Bifidobacterium fermentation product, Dried Pediococcus acidilacticii fermentation product, Sunflower Oil, Sucrose, Silicion Dioxide, Dextrose, Artificial Color. Store at room temperature. Not for human consumption. This product is intended for intermittent or supplemental feeding only. The following amounts are guidelines. Bird Bene-Bac may be used more frequently if desired. Hand feeding: Feed � gram on days 1, 3, 5, 7 and then once per week until after weaning from hand feeding. 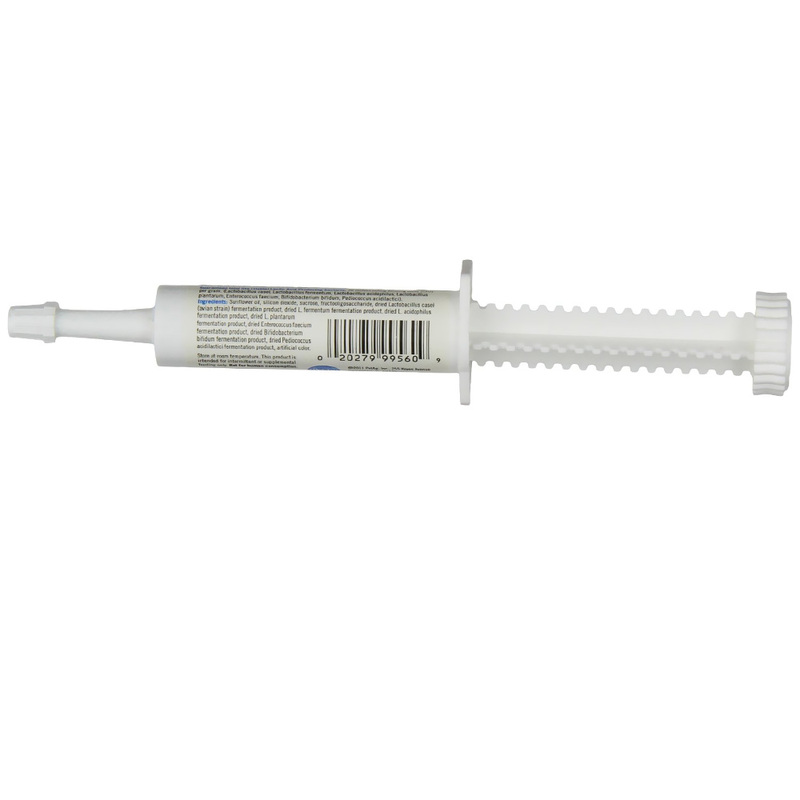 Mix with formula after heating, place gel directly into the feeding syringe or into the mouth if cross contamination is not a concern. Growing Phase: Feed � gram once per week for the first 3 months. Maintenance: Feed every other week. Use � gram for finches, canaries, parakeets, cockatiels, lovebirds, conures and other small species. Use 1 gram for amazon parrots, cockatoos, macaws and other large species. Changing conditions: Feed amounts shown above. Feed 3 days apart pre and post periods of nutritional or environmental changes. Place on food or directly into mouth. Use 1/2 - 1 gram 12 to 24 hours before feeding and again 2 to 12 hours after feeding. Place gel on food or in mouth. ProsThe shipping is very fast!